Who doesn’t love fireworks? Not you. Stop reading. Really, you’ll be bored to tears. Well we’ve got just the thing for you. 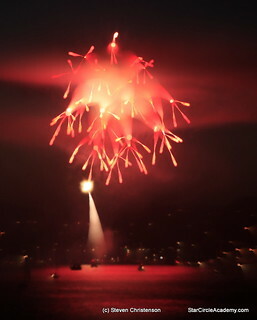 I started a column long ago about photographing actual fireworks as in the Fourth of July (in the United States), or New Years Day (just about everywhere). But those events do not happen all that often. What if you could MAKE YOUR OWN fireworks. Well now we would be talking, right? But I am NOT talking about explosives. Merely hot burning steel. And YES it could be dangerous to you or your camera. There are dozens of good resources on the internet to learn how. Because I do not want you suing me for getting you, your equipment, neighborhood or small country destroyed I am not going to describe how to do it. I will merely refer you to others whom you can sue the pants off of when bad things happen. I will point out a few obvious things. Obvious to everyone except teenagers. Sorry kids. I didn’t mean to single you out, but people who go riding on cafeteria trays towed by speeding cars clearly are lacking something in the area of sound judgement. YOU COULD START A FIRE. And it might not go well after that. First I want to thank my confirmed pyro lunatic buddy for thinking of me. I’m talking Andy who is apparently scared by Photoshop, but not molten metal. If Andy never existed, there would still be my partner in many crimes, Eric “Mr. Panorama and Pyromania” Harness. 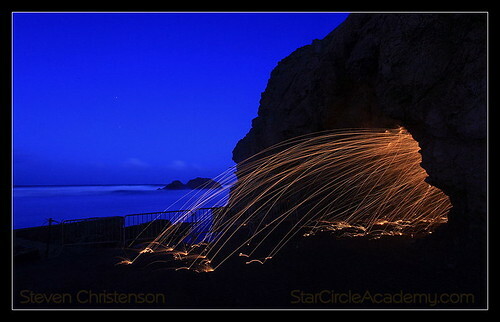 Like all things night photography there are many variables in this sort of exposure. 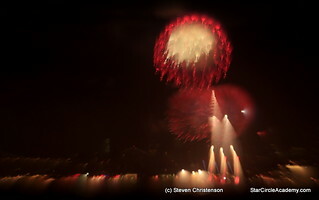 The shot above was a six second exposure at ISO 250, f/13, 35mm. If you’re not the one doing the spinning, I recommend BULB mode with an intervalometer. Though it may be tempting to collect light for the entire duration of the spin, experimentation is in order – both in length of exposure, as well as settings. A lot depends on the ambient sky conditions (some light is preferable to no light), how close you are to the excitement, and so on. Stopping down helps to keep from blowing out details, and it also helps to resolve some minor “offness” in getting a good focus. My Pyro buddy has some wild images, too. And Ben (aka Tackyshack) goes to great lengths to make elaborate pyro designs with a pond in the foreground to reflect the light he uses. 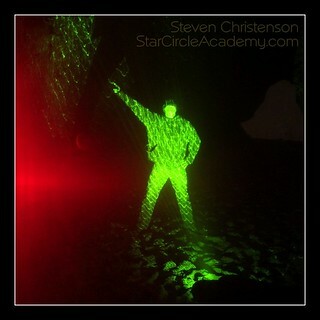 Here is something else you can do… does not involve fire, but does require a green laser that can put your eye out. That’s Eric Harness “Stayin’ Alive”. I supplied the green and my photo buddy Phil (of ISS Mooncatching fame) is providing the red glow – from his camera! If you’d like to know how I did it, leave a comment. Oh, and in case you were looking for some unconventional treatments of conventional fireworks, take a look at these. Click the images for details and tips. 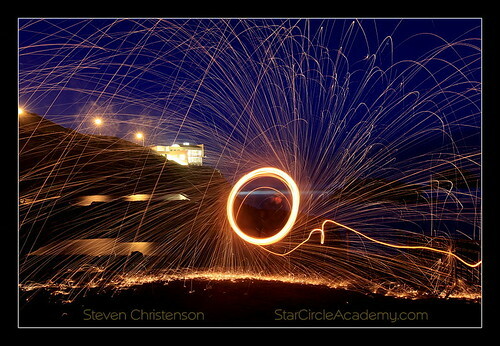 This entry was posted in Creativity, Photo Tip and tagged fireworks, metal, slinging sparks, spinning steel, steel wool, wire wool on March 29, 2012 by Steven Christenson. One thing you forgot to mention, these can be highly addicting! I second that!. 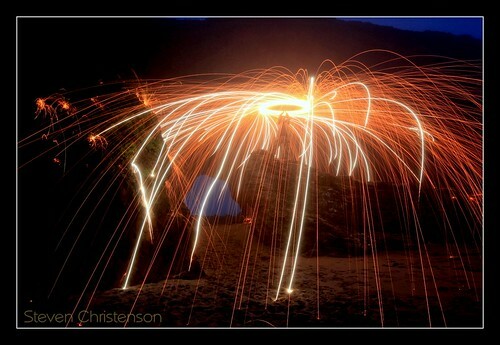 Steel wool photography is addicting. Great shot Steven! So how did you make Eric green? I told him my camera was better than his. 😉 Actually if you click the image I say how I did it: a green laser pointer but not “any old laser pointer”. Mine has a kaleidoscopic tip that throws pin points of light everywhere about a hundred or so… I just waved it around while Eric kept his eyes shut.